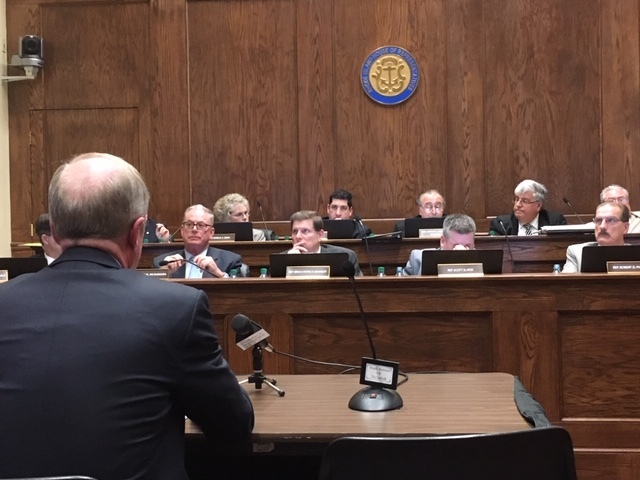 A group of citizens and ‘Reform Democrats’ urged the House Rules Committee Tuesday night to make broader changes to the rules governing the Rhode Island House of Representatives for the next two years. But the House Rules Committee could approve rules as soon as Thursday that don’t address most of the differences sought by critics. One citizen, Mikaila Arthur of Providence, called the vote on House rules the most important vote of the session – since the rules govern what happens in the chamber. Like other witnesses, she expressed frustration that bills with popular support get bottled up in House committees without ever moving to the House floor. Critics took aim at the timing of when the rules are being considered after the start of the legislative session last week. But the House Rules Committee could vote on the leadership-backed rules as soon as Thursday. (Update: some unspecified changes are planned.) The full House of Representatives could then vote on the measure next week, perhaps Wednesday. Dozens of people packed a committee hearing room on the first floor of the Statehouse, and an overflow area, for the chance to testify on the proposed House rules. In one nod to critics, the rules backed by House Speaker Nicholas Mattiello now call for allowing at least 24 hours to review “substantive” alterations to bills. A lack of notice became a sore spot for some lawmakers when a pay equity bill sponsored by Rep. Susan Donovan (D-Bristol) was changed without her consent and returned to the House floor last session. But citizens, activists and lawmakers from the 19-member ‘Reform Democrats’ group that abstained last week from supporting Mattiello said the public interest justifies broader changes. One concern was a proposal for a new process within the House to vet claims of sexual harassment. John Marion, executive director of the good government group Common Cause of Rhode Island, called the proposed sexual harassment policy insufficient. Critics also called for an easier way of moving bills from legislative committees to the House floor, and creating a higher threshold to suspend the rules when bills are rushed through at the end of session. Rep. Jason Knight (D-Barrington), a member of the ‘Reform Democrats,’ said the suspension of rules should require a two-thirds vote of state representatives. For now, the suspension requires the consent of the Democratic and Republican leaders in the House. But a former House GOP leader, Representative Brian Newberry of North Smithfield, said he agreed to suspend the rules only after being assured that surprise bills would not be moved to the floor. Newberry said Democrats honored that promise during his six years as Republican leader. A witness testifies during the House Rules Committee hearing.